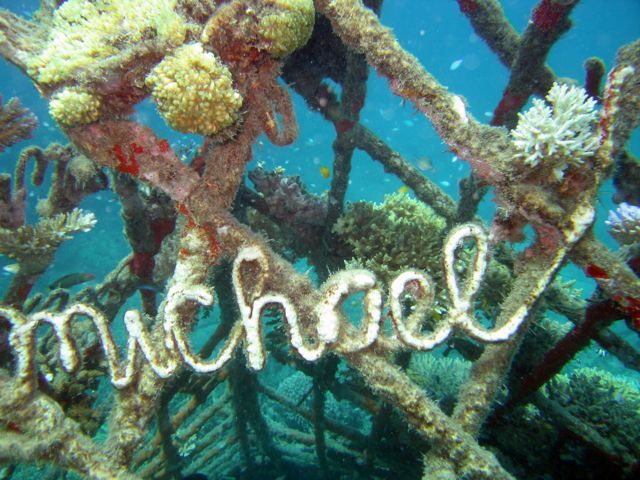 A SMALL CORAL FRAGMENT FROM ONE OF THE MANY CORALS PLANTED THREE TO EIGHT YEARS AGO WILL BE PLANTED NEXT TO YOUR NAME MADE OUT OF WIRE. Photo: Seeing a shrimp with polarization vision, where each color represents a different polarization angle. "Supergiant" amphipods measuring over 13 inches long have just been found in waters north of New Zealand, according to a University of Aberdeen press release.